Every member of your troop will benefit from using TroopWebHost! Do you want to have a "youth-led troop"? Then give them the tools to do the job! Senior scout leaders can schedule their PLC meetings and publish agendas and minutes. Patrol leaders can take attendance for their patrol at each meeting and campout. Scouts receive the weekly automated e-mail with current announcements and upcoming events. Their copy will be personalized with sign-up status, equipment or library materials they've checked out, training and medical forms about to expire, merit badges in progress, and requirements needed for their next rank. Post topics to the Scout Forum and participate in discussions about troop activities and scouting in general. Send e-mails and SMS messages to other members of their patrol and receive e-mail from the troop. Respond to survey questions posed by troop leaders. Drill down to the details of upcoming events on the calendar to see what requirements they'll be able to fulfill. Sign up for campouts and community service activities. Sign up for shifts at fundraisers. Be designated as leaders for events. Upload photos from each campout to display in the photo gallery. Subscribe to the troop calendar on their cell phone or personal computer. Sign up for merit badges and select a merit badge counselor. See what requirements are needed to complete their next rank. Request sign-off on rank and merit badge requirements. View their current account balance and transaction history and add to their balance via PayPal. Purchase merchandise from the troop, like troop t-shirts, and pay for it on-line via PayPal or from their scout account. Select their goals - and associated prizes - for fundraising drives. Enter their fundraiser orders directly into the system, and print out orders for delivery. 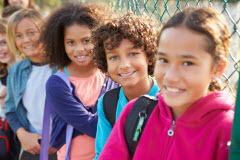 Promote their Personal URL to friends and family to sell fundraiser items on-line at ScoutSales.org. Check out troop equipment and library materials, and see what materials they have outstanding. Parents will keep up-to-date with the weekly automated e-mail which shows their scouts' sign-up status for upcoming events, medical forms about to expire, troop equipment and library materials that their scouts have checked out, current account balances, and recent transactions. Parents can log on to the site to view their scouts' account balances and transaction history. They can also view their scouts' status on all merit badges and rank advancement. Parents can add to their scouts' scout accounts by making payments to the troop on-line via PayPal. Parents can view the troop calendar and learn exactly what is planned for each meeting and campout. Parents can sign up themselves and their scouts for upcoming events and indicate whether they can drive and take other scouts. They can also sign up themselves and their scouts for shifts at upcoming fundraisers. Parents can purchase merchandise from the troop - like troop t-shirts - on-line, and pay for it from their account or via PayPal. Parents can send e-mails and SMS messages to troop leaders to learn more about what is going on. 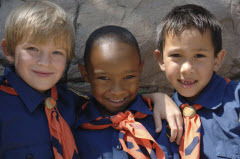 Parents can promote their scouts' on-line fundraising events by sending their Personal URL to the ScoutSales.org site to friends and relatives. The scoutmaster corps will rely on TroopWebHost to plan activities and advancement opportunities. Campout locations can be entered with a wealth of information including address, map coordinates (which are used to display a Google map of the area), directions, and website URL. This information can then be referenced every time you return to that campground. A schedule can be created for each campout, including meal plans and other activities. Campouts and meetings can include opportunities to complete requirements toward ranks and merit badges. Following the event you can easily sign off on these requirements for everyone who attended. Scoutmasters can sign up scouts prior to an event, and can take attendance after the event. When taking attendance, the scoutmaster can override the number of camping nights, service hours, hiking miles, etc., earned by each scout if different from the rest of the group. Scoutmasters can help scouts plan for summer camp using reports that show which Eagle outdoor badges are still needed by each scout. Scoutmasters can send e-mail and SMS messages to the scouts who have signed up prior to the campout, and to their parents when they're returning. They can send messages to the entire troop or a selected group without even logging on to the site, using our new e-mail relay addresses. Numerous reports help scoutmasters identify requirements needed by one or more scouts, as well as which scouts need their medical forms and which adult leaders need YPT. Scoutmasters can upload photos from the event so parents can enjoy seeing what happened. Scoutmasters can call any scout or parent from their cell phone using the Quick Dial page. Adult leaders may file reimbursement requests for expenses incurred on a campout, which are transferred automatically to the treasurer for disposition. TroopWebHost gives your Committee a window into every aspect of your troop's operations. Advancement, finances, leadership training, and future activities are all easily visible. TroopWebHost also gives the Committee a vehicle to communicate to the troop, with announcements, e-mail, SMS messages, and the weekly electronic newsletter. Survey questions can be posed to all members, or limited to a subgroup, to gauge opinions on topics of importance to the troop, like "Where should we go to summer camp next year?" Troop policies and scout checklists can be posted to the Forms & Documents page, along with membership registration forms, medical forms, and permission slips. Links to other websites can be added to the Resource Links page. 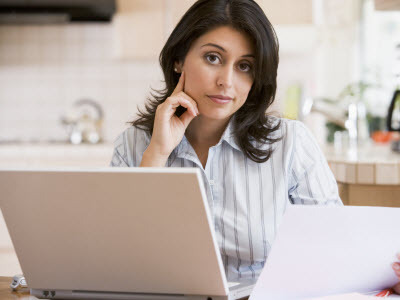 When it comes time to recharter, print the Recharter Worksheet to review your current information. Once everything is up to date, transfer your information to your council electronically using the ScoutNet-compatible recharter file. Produce the Journey To Excellence report at the end of each year using data collected from the system. Reports and labels help prepare for Court of Honor. For each rank, merit badge and award, you can note when it was initially awarded, when it was recognized, and when it was submitted to Council. This can be done for a large group of items in one easy operation. Recent achievements can be reported to Council electronically by generating advancement files compatible with ScoutNet and Scoutbook Lite. Your Treasurer's job will be much easier with TroopWebHost. They will no longer need to print and mail statements to parents every month, since parents can view their balances and transaction history on-line. Parents will also see their family's account balances when they receive the automated newsletter, or when you use the E-Mail Account Balances function to send a personalized message to each member with their family's current account balances. Reserve accounts can be used to set aside money paid in advance for summer camp or Philmont. It's easy to create a budget, using the BSA's budget worksheet as a starting point. And just as easy to track actual performance against budget. Treasurers will no longer struggle to keep an up-to-date list of scout accounts, since the accounts are created automatically when their membership records are entered. They won't lift a finger when parents make payments via PayPal, since the transaction will be automatically posted to the scout's account. They won't need to create an account for each campout, since expenses can be entered for each event as soon as it is added to the calendar. With one group transaction they can charge all of the participants for an event, and easily override the amount for specific individuals. Another group transaction will charge scouts their monthly dues. The Treasurer can review and approve requests for expense reimbursements which can be submitted electronically by other adult leaders. When approved, the system automatically generates the appropriate transaction. 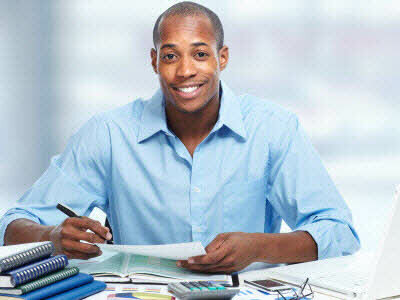 Monthly bank statements can be reconciled by simply checking off the deposits and withdrawals. Your Committee Chair's job will also be easier the next time they need to recruit a new Treasurer! TroopWebHost gives your Fundraising Chairperson - or your "Popcorn Kernel" - a complete set of tools for managing fundraisers. Set up a new sales campaign for each new fundraiser. Enter the merchandise available for each fundraiser. Easily download the items available for the annual popcorn fundraiser. Post the incentive prizes (with photos) so scouts can pick their sales goal. Encourage scouts to enter their orders directly into the system. They can also promote online sales using their Personal URL at the ScoutSales.org site. Use the Booth Sales function on a tablet or smartphone to track retail sales and accept credit card payments. Schedule shifts for retail sales - like Christmas tree sales - so members can sign up on-line to work particular dates and times. Consolidate orders by item to determine quantities to order from your supplier. Reports help you distribute product to each scout, and help scouts deliver their orders. Your Webmaster will enjoy the freedom TroopWebHost gives to create a great site for your troop. They can create any number of pages, each of which can be made available to the public or restricted to members after they log on. They can choose from a number of preset color schemes or create a customized color scheme for the entire site using CSS. They can select widgets to display information from your database, or add a "Contact Us" form to let visitors communicate with troop leaders.